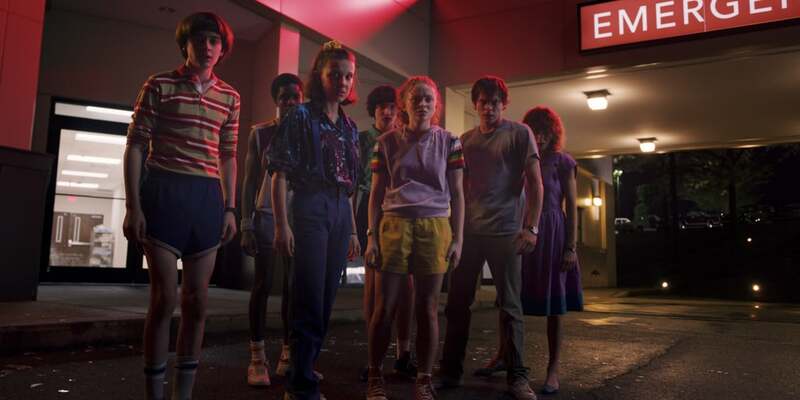 New photos from the third season of Stranger Things have arrived along with the trailer for the Netflix series. 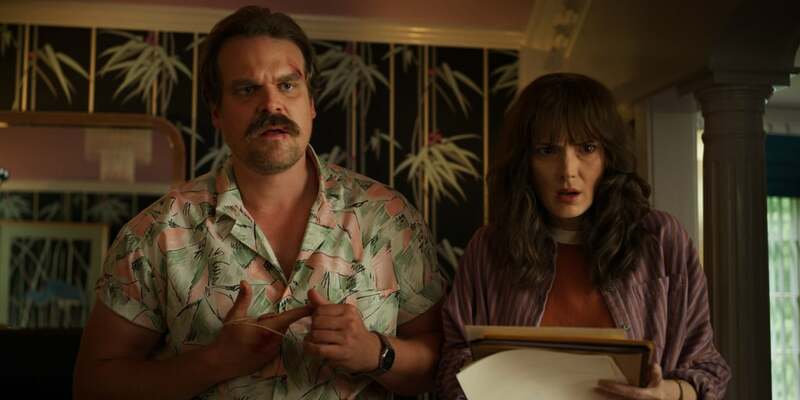 The third season stars Winona Ryder, David Harbour, Finn Wolfhard, Millie Bobby Brown, Gaten Matarazzo, Caleb McLaughlin, Noah Schnapp, Sadie Sink, Natalia Dyer, Charlie Heaton, Joe Keery, Dacre Montgomery, Cara Buono, and Maya Hawke. 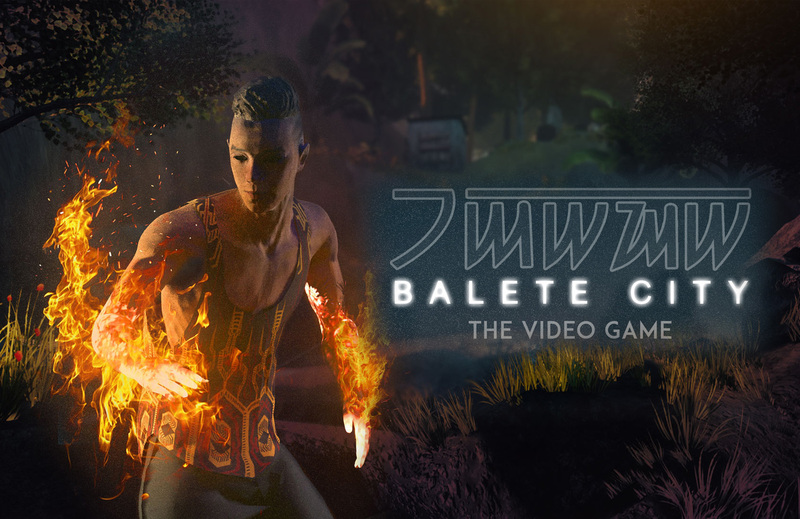 Cary Elwes, Jake Busey, Francesca Reale, and Priah Ferguson also appear in recurring roles. 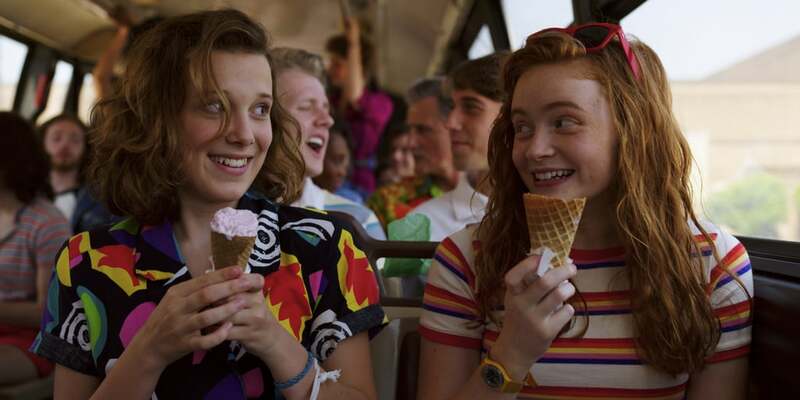 By mid-1985, the era whose box office was dominated by Back to the Future, Mike and Eleven have developed a romantic relationship, as have Max and Lucas. 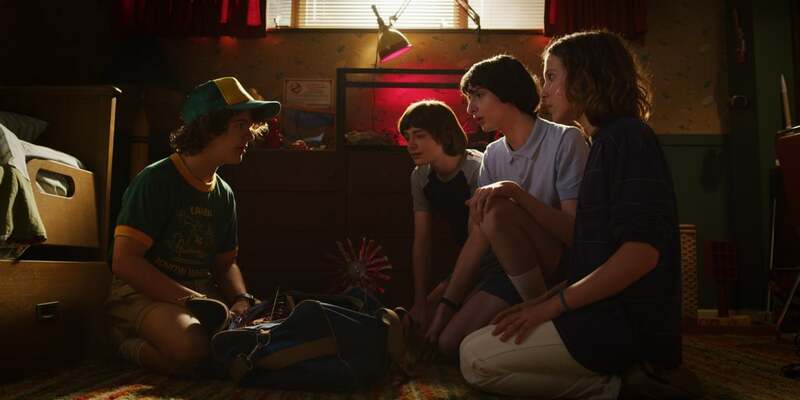 The heroes and heroines are living seemingly normal lives, though one year after the defeat of the Mind Flayer, things are not all what they seem in Hawkins. 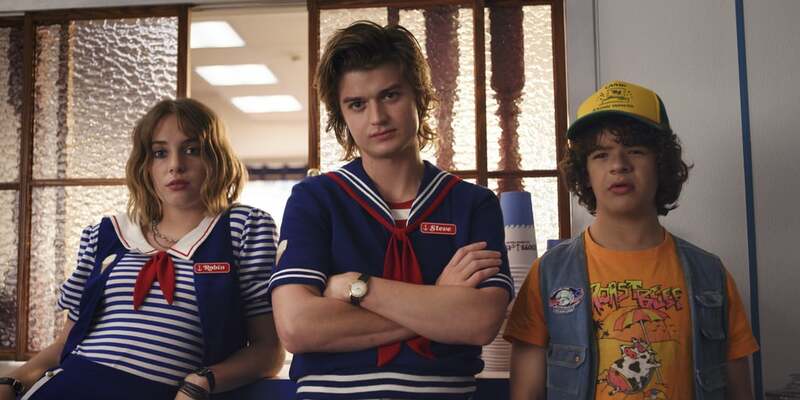 The town has a new leader, the morally corrupt Mayor Kline, whose administration supported and presided over the construction of the new Starcourt Mall. 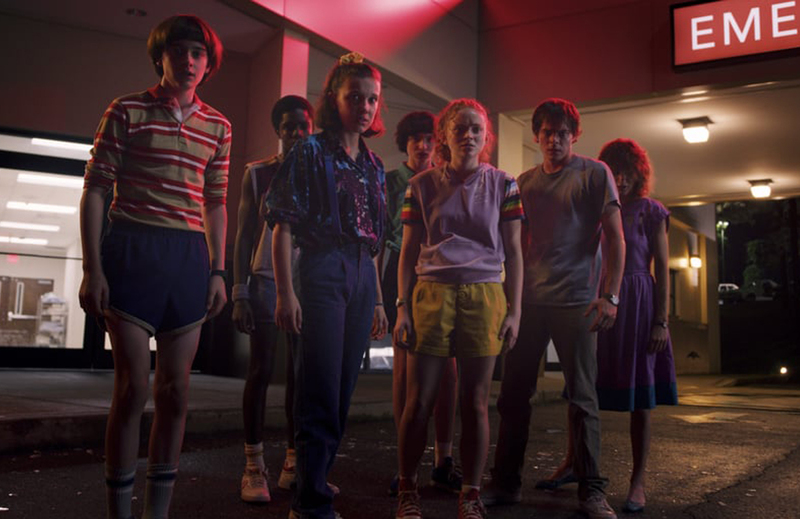 With the Fourth of July approaching, strange things start to happen: Lucas' sister Erica discovers a mysterious new threat, and a lifeguard at the community pool suddenly disappears, triggering fear in those that still have the events from the previous year fresh in their minds. 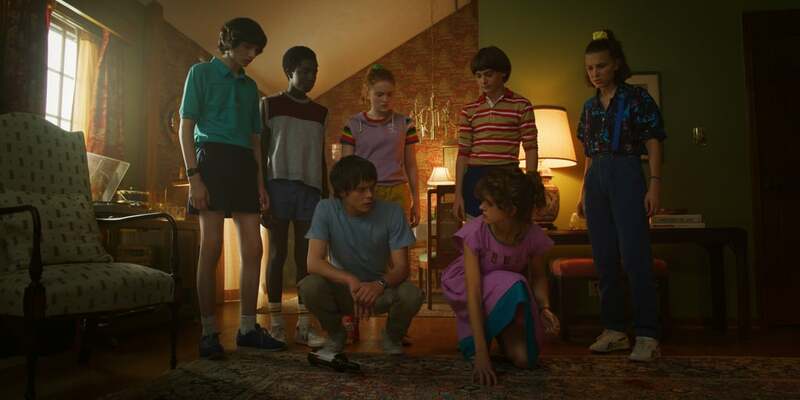 Stranger Things 3 will premiere exclusively via Netflix's web streaming service on July 4, 2019.